Why outsource part fabrication to multiple companies? Let us be your one-stop-shop for cut, bend, weld and scanning services. Using state-of-the-art equipment, our expert technicians efficiently scan, cut, bend, and weld all types of parts and projects. Service Engineering is dedicated to providing our technologically-advanced services at the best possible pricing. Provide your graphic file or let us laser scan your part for you. We’ll load your requirements and cut your part with very little left-over scrap material. Our fully-programmable press brake is equipped with bending solution software that allows us to efficiently design the part to be formed and check the design for buckle points. Tool set-up data transfer, bend sequences, and 3-D simulation are all standard with this quick and efficient press brake. What do you need cut? 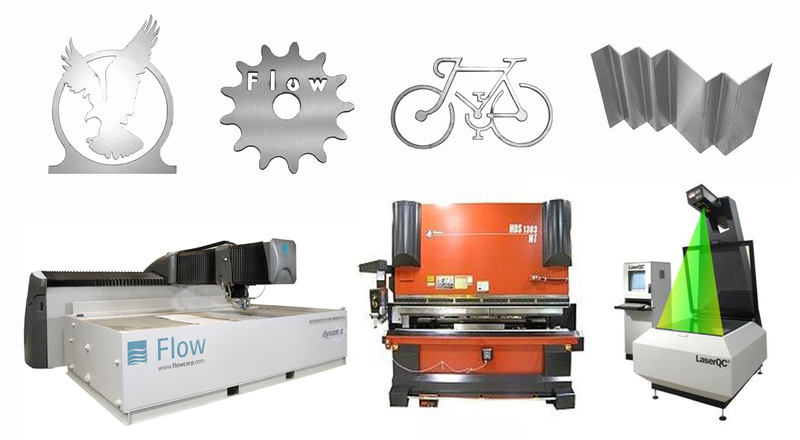 Our waterjet machine can precisely cut virtually any type of material, regardless of hardness. Steel with thicknesses up to 8 inches? No problem. There is no job too large or small. After Service Engineering technicians have completed the professional scanning, cutting and bending of your project, we are ready to weld them to perfection and ship them directly to your facility. Call us at (844) 841-4172 or complete our online form. Can you provide a sample part? How will the design be sent to us? What do you need us to convert to a .dwg or .dxf?